A stroll through Tianfu Ecological Park on a weekend is a relaxing activity for families in Kunshan, a city in eastern China’s Jiangsu Province. But while walking through the seemingly virgin forest, one may hear the roar of a passing bullet train. This is not a coincidence—the park was built right on a gravel pit left by construction of high-speed rails. Situated at the Yangtze River Delta, Kunshan serves as the eastern gate to Jiangsu Province from Suzhou to the west and is bordered by Shanghai to the east. 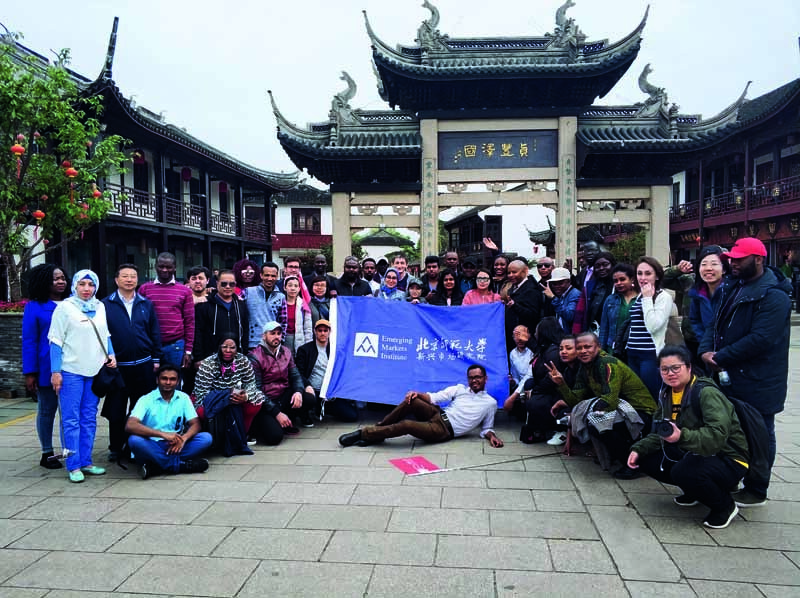 The county-level city has managed to realize fast development while preserving its environment at the same time, which awed international students from Beijing Normal University when they visited in April. In 1983, Kunshan’s GDP from industry first surpassed that of agriculture, a milestone in its transformation from an agricultural society to an industrial one, which was the first of the six major transformations the town has achieved since China’s reform and opening-up policy was launched four decades ago. 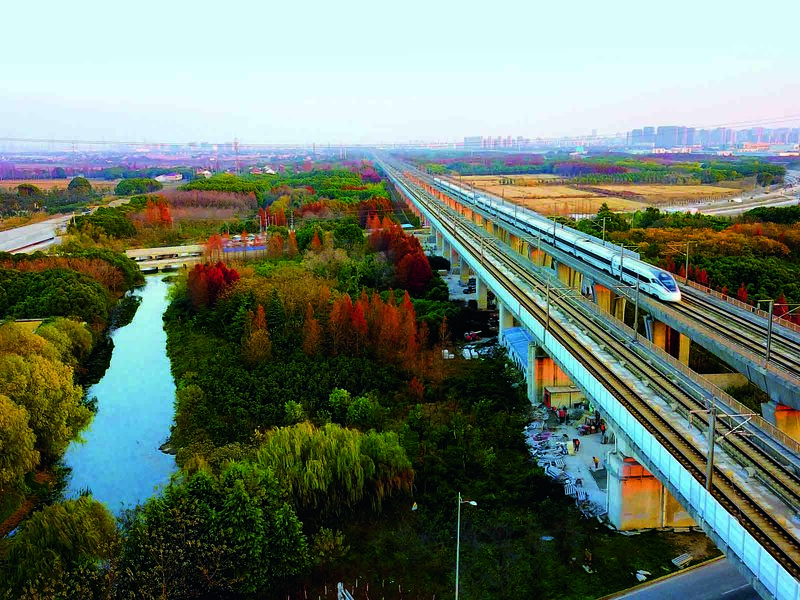 Since then, Kunshan has witnessed the transformations from an agricultural town to an industrial hub, from closed development to open development, from a town with scattered factories to a city of orderly industrial parks. All of these trans formations contributed to Kunshan’s miraculous growth, which has left the city with a GDP larger than many developing countries. 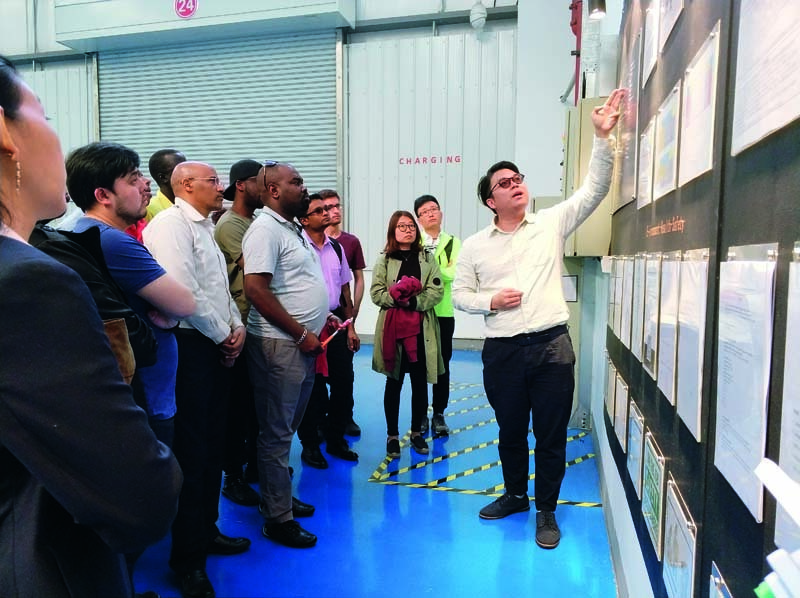 “I think the transformations that Kunshan has undergone were very significant and that we should learn from its technological innovation,” said Philip Mapak Maker Makoi, another student from Beijing Normal University and once a teaching assistant from the University of Bahr El Ghazal in South Sudan. Kunshan created a modern economy supported by emerging and hi-tech industries, advanced manufacturing, a modern service sector and urban agriculture. 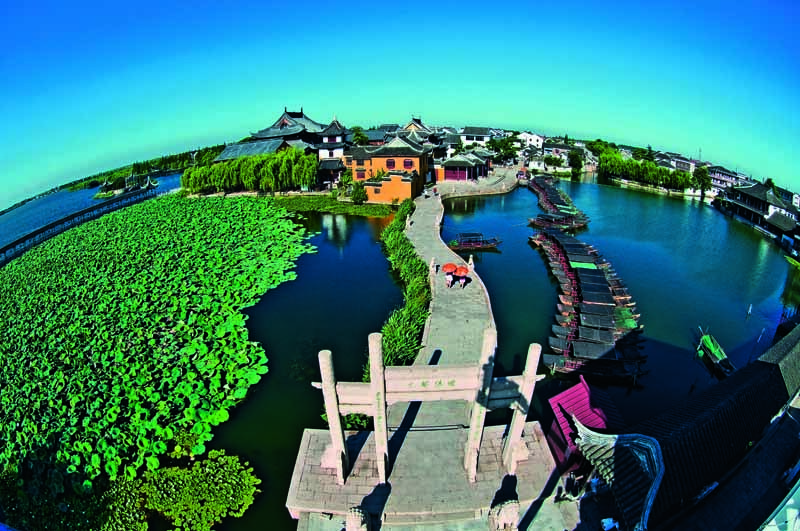 Tianfu Ecological Park, built in 2013 over a gravel pit, has developed into a national wetland park, which evidences the city’s persistent efforts in protecting the environment during its fast economic growth. As one of the country’s few wetland parks with a permanent rice field, the park also places special attention on balancing the rice field and the wetland. In the “Intelligent Kunshan” special class, students become acquainted with the city’s smart system that monitors traffic, river conditions, network connection, security, government administration and more throughout the city in a real-time manner. Screens will display the information of a car that has just been in an accident, facilitating the handling of traffic accidents. In contrast to traditional MBA programs, this program offers in depth teaching about China’s experience in economic and social development in addition to high-quality lectures delivered by celebrated economists and politicians. Hu was inspired by a master’s program in which he enrolled in 1989 in Germany alongside 45 other students from 43 developing countries in Asia and Africa. That program laid a solid foundation for his subsequent study and career.